DUBLIN, Ohio, 2017-May-18 — /EPR Retail News/ — To the haters, the doubters and the fast food skeptics – Wendy’s wishes YOU a Happy National Salads Month. That’s right, Wendy’s breaks the fast food cliché and offers a variety of fresh salads, hand-prepared in-restaurant EVERY SINGLE DAY using quality ingredients. Plus, you can pick it up via the drive-thru in record timing. In today’s non-stop world, Wendy’s remains committed to daily in-house ingredient prep: washing and chopping heads of lettuce, hand-slicing tomatoes and topping every salad entrée with a freshly grilled, all-white meat chicken breast. Thanks to the supply chain Wendy’s established in 1969, fresh ingredients and produce are delivered to every restaurant two to three times a week, ensuring a freshness you can taste. Wendy’s salad line-up is made to suit everyone’s cravings, from savory to sweet and simple to bold—and they’re all available in full size and half sizes. Fresh Mozzarella Chicken Salad: Built on a blend of spring mix and iceberg and romaine lettuce, the salad is topped with a freshly grilled, all-white meat chicken breast, mozzarella cheese, and juicy grape tomatoes. From there, it’s drizzled with a creamy basil pesto sauce, topped with crunchy French bread croutons and finished with the Marzetti® Simply Dressed® Light Balsamic Vinaigrette. It’s only around for a limited time, so get it while you can! 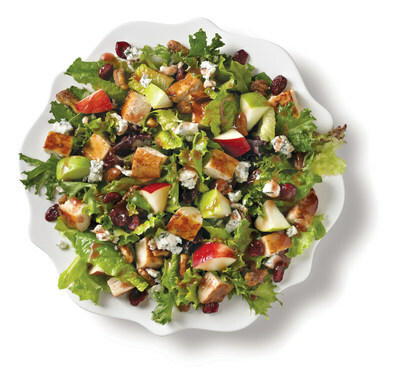 Apple Pecan Chicken Salad: This menu favorite combines hand-picked red and green apples, roasted pecans, delicious cranberries and creamy blue cheese crumbles. Served on a bed of Wendy’s signature lettuce blend and topped with freshly grilled chicken and Marzetti® Simply Dressed® Pomegranate Vinaigrette, there’s a reason this salad has become customer’s go-to pick. Power Mediterranean Chicken Salad: Mediterranean flavor mixed with a savory sundried tomato grain blend makes this salad stand out with quinoa, chick peas, white beans, fire-roasted vegetables and sundried tomatoes. It’s topped with crumbled feta, freshly grilled, all-white meat chicken breast, creamy hummus and Marzetti® Simply Dressed® Light Balsamic Vinaigrette. Taco Salad: Wendy’s signature chili makes this dish a classic. Paired with hand-diced tomatoes and shredded cheddar cheese over a bed of hand-chopped iceberg and romaine lettuce, this is a fresh spin on the original Taco Salad. Continue the flavor indulgence by adding sour cream, crunchy tortilla chips and a fiery salsa blend made with ancho chili peppers and roasted tomatoes to kick this salad up a notch. Find each of these salad options at participating Wendy’s. The Wendy’s Company (NASDAQ: WEN) is the world’s third largest quick-service hamburger restaurant chain. The Wendy’s system includes more than 6,500 restaurants in 30 countries and U.S. territories.  For more information, visit www.aboutwendys.com. This entry was posted in Business, Food & Beverage, Marketing, Restaurants, Retail, Retailer and tagged variety of fresh salads, Wendy’s. Bookmark the permalink.